Set to premiere March 5 at 9 p.m. ET / 6 p.m. PT, the 6-episode run sees Hagar drive across the US to jam with some of music's biggest names, including James Hetfield of Metallica, Toby Keith, John Mellencamp, Cheap Trick guitarist Rick Neilsen, ZZ Top’s Billy Gibbons, and Fleetwood Mac founder Mick Fleetwood. Season two launches with a one-hour special featuring Hagar and Hetfield hosting the third annual Acoustic-4-A-Cure concert – the benefit concert they founded – at the Fillmore in San Fransisco, CA. Hetfield, Joe Satriani, John Mayer and Melissa Etheridge sit down to chat with the Red Rocker during the premiere episode. 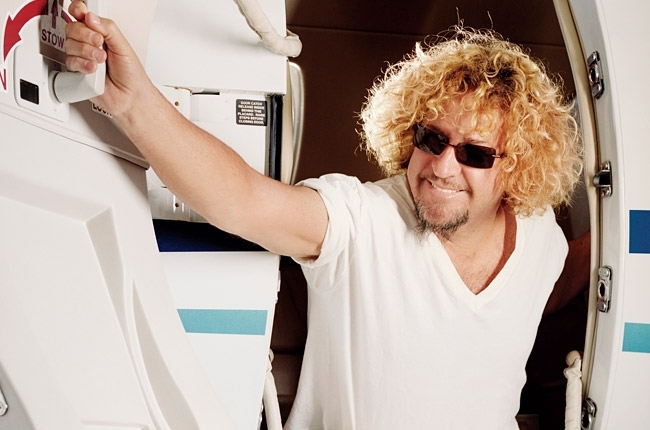 "This is a different side of entertainment for me," explains Hagar in his role as TV host. "I shut up and listen now." As part of the network's launch plans for the second season, Hagar will answer fan questions during a Facebook Live stream on his page on Sunday, February 19. The Facebook Live session coincides with the network's marathon on that day of the first season of "Rock & Roll Road Trip" from 2:30 p.m. to 5 p.m. ET. Hagar has a few scheduled live dates with supergroup The Circle on his 2017 calendar, with he and Chickenfoot will release a new compilation, “Best + Live”, on March 10. Mar 05 - Acoustic 4 A Cure with James Hetfield of Metallica and more.